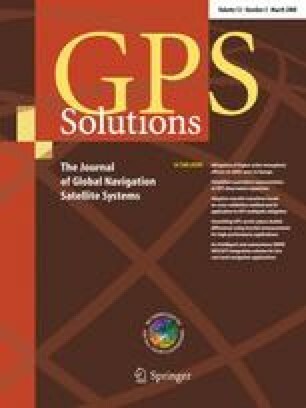 The mitigation of radio frequency interference (RFI) has a fundamental role in global navigation satellite system (GNSS) applications, especially when a high level of availability is required. Several electromagnetic sources, in fact, might degrade the performance of the global positioning system (GPS) and Galileo receivers, and their effects can be either in-band (i.e., secondary harmonics generated by transmitters of other communication systems due to non-linearity distortions) or out-of-band (i.e., strong signals that occupy frequency bandwidths very close to GNSS bands). We investigated the effects of real out-of-band signals on GNSS receivers and analyzed the impact on the overall receiver chain in order to evaluate the impact of the interference source. In particular, the analysis focuses on the spectrum at the front-end output, on the automatic gain control (AGC) behavior, as well as on the digital processing stages (signal acquisition and tracking) at the analog digital converter (ADC) output. This study refers to several experiments and data collections performed in interfered areas of downtown Torino (Italy). The obtained results underline how digital/analog TV transmissions represent a potential interference source for GNSS applications and might be critical for the safety of life services. The authors would like to thank Ten. Co. Ing. Damiano Chiappa and Ten. Co. Ing. Francesco Nunziante for their help during the measurement campaigns and data processing. The constructive comments of one anonymous reviewer and Larry Young of the Jet Propulsion Laboratory, Pasadena, California, are greatly appreciated.